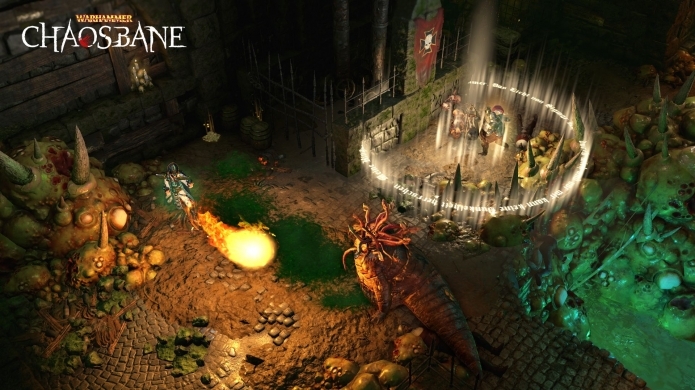 Once we saw it in motion, Warhammer: Chaosbane instantly grabbed our attention. A co-op action-RPG that features fast-paced action and fun looking abilities split across various classes. There's a Warhammer game for just about all occasions, which makes us happy that there' an action-RPG with the same focus on fast action and smooth combat ala Blizzard's Diablo 3. It's out June 4 on PC, Xbox On, and PlayStation 4. And as it's the way with all things, pre-orders are now open across various versions - confirming that there's also a Season Pass. Pre-ordering also gets you access to two planned Private Beta periods that will run beginning in March.